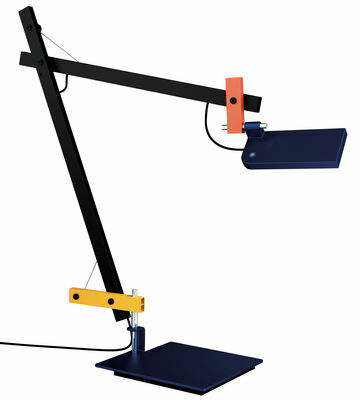 Combining essential design, very basic on purpose, and high technology, this articulated lamp features a design that is in contrast to modern desk lamps but maintains the functionality. A bold and funny mix by Javier Mariscal, a visual language leader of the past decades. Through LoTek (the name comes from “Low” and “Technology”), the Spanish artist develops a narrative creative practise. This lamp is a real bridge between past and present since it features a mix of references to historical articulated lamps in past centuries. The basic form of the heavy base, which serves as a counterbalance, was inspired by the Industrial revolution in the 19th century. 20th century influence can be found in the perfect mechanism of articulated arms and innovative joints that allow for perfect flexibility. 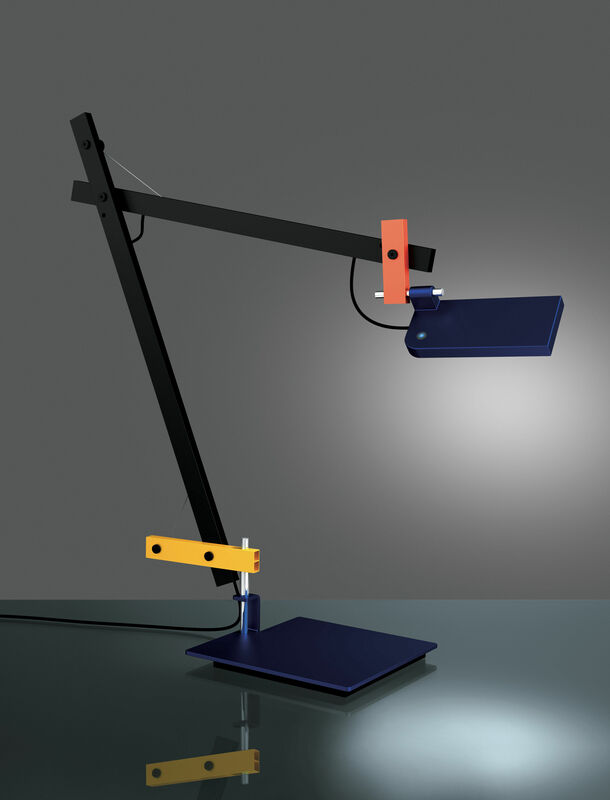 The articulated arms and rotating head allow for a precise control over the direction of light. Last but not least, LoTek features the latest 21st century technologies – sensitive light system (when touching the head of the lamp) and powerful economic LED sources. The lighting is functional, warm, non-dazzling. Like Meccano constructions, the different parts of LoTek lamp are joined together coarsely with intentionally visible joints. LoTek seems to have a naive, childish and almost “homemade” character at first glance. This item has more of apparent spontaneity than the real one, because there is a really hard work hidden beyond the simple look. The structural simplicity and use of primary colours are aspects that make LoTek pay tribute to Gerrit Rietveld’s work and the artistic movement “De Stij”.